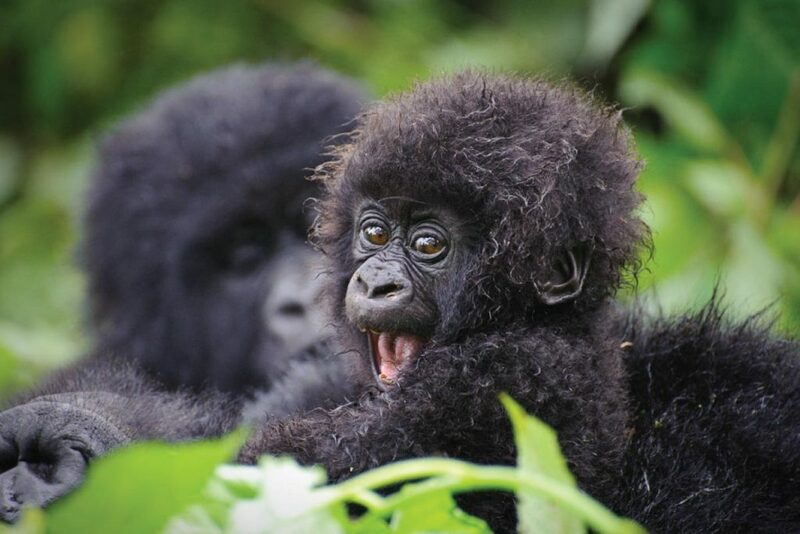 This Uganda Safari gives you a great opportunity to visit the Gorillas 2 times, meet the Batwa pygmies, have plenty of time for game safaris with a full day of Chimpanzee habituation to learn their behavior pattern right from the time they rise from their sleep to the time they nest for the night. This Uganda safari piece is meant to offer you an exclusive African wildlife experience. After breakfast, meet our guide to transfer you to Murchison Falls National park a must-see for variety of wildlife. We will have a stopover at Ziwa rhino sanctuary a private ranch under Rhino Fund an organization working to restore Rhinos in Uganda’s wilderness. Have Lunch, thereafter visit the top of the falls and take amazing photographs of this land form. 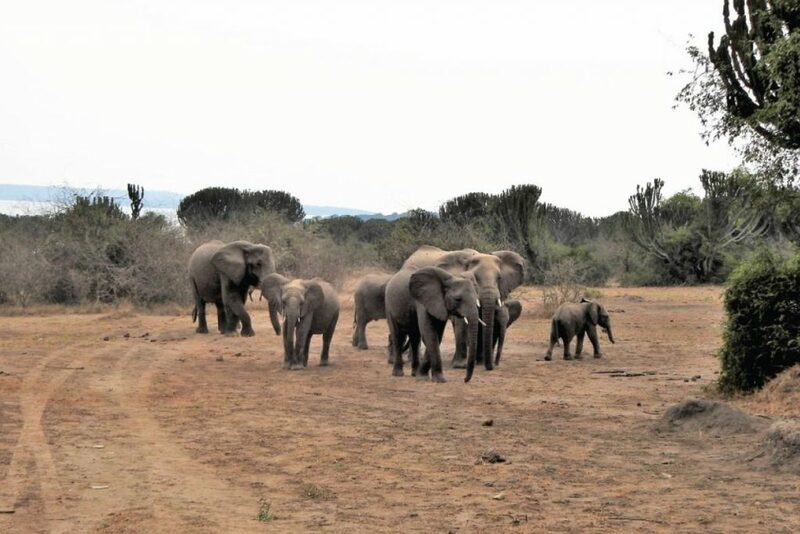 A game drive at dawn to spot a variety of early riser nocturnal animals and other wildlife like the big five is a great experience. The animals to look out for include: lions, buffaloes, giraffes, elephants, leopards, warthogs, giraffes, water and bush bucks, topi, oribis and more plus several bird species. Have lunch and thereafter go for a boat cruise along the River Nile closer to the bottom of the falls. 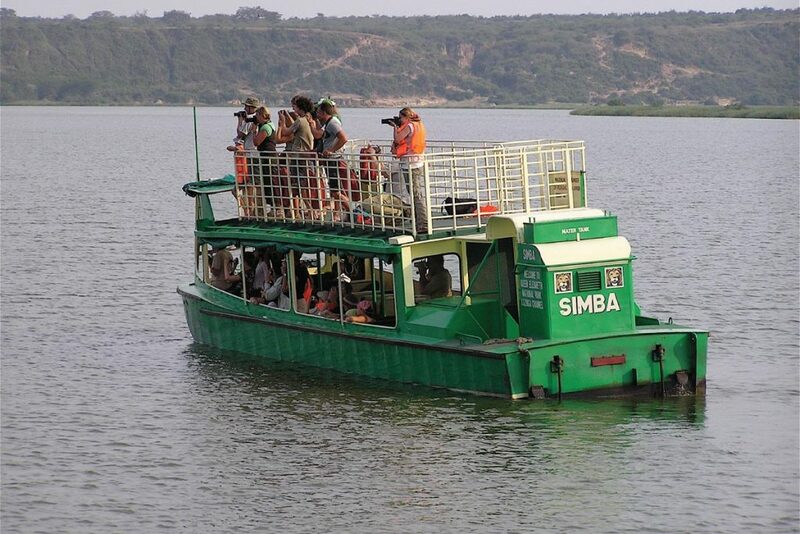 On the boat cruise watch out for animals and birds along the river banks and take stunning photographs of the wildlife. A hike to the top of the falls (approx. 1 hour) is possible starting off at the bottom of the falls to see where the world’s longest river explodes violently through a narrow cleft in the Rift Valley escarpment to drop into a foaming pool 44m below. After breakfast drive to the shadow of the fabled Mountains of the Moon with lunch en-route at a local hotel or restaurant along the way. Today is dedicated to the Chimpanzee Habituation Experience. Start the day with an early morning breakfast and with packed lunch in hand you are off before dawn breaks into the forest. 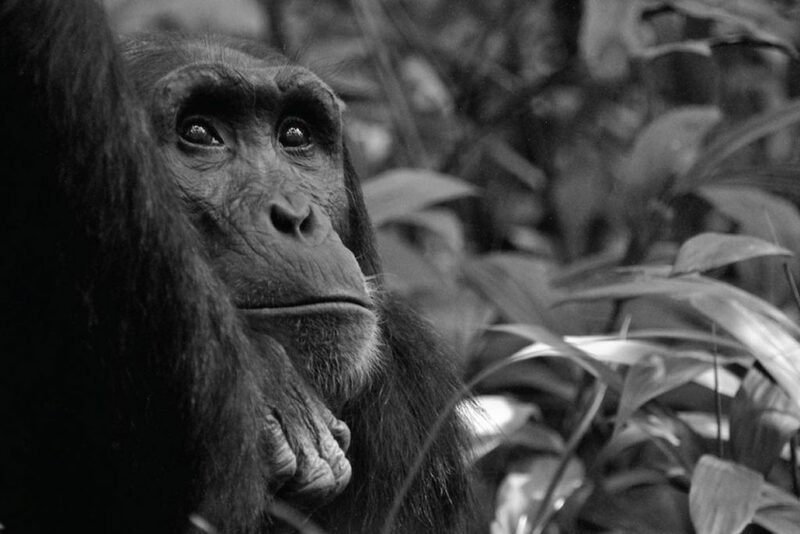 You meet your guide and you are off to where the chimpanzees built nests the night before. Dawn is just breaking and the chimpanzee community you are going to be with the rest of the day is rising from their sleep in the nests. Besides everything described this places also hosts colorful butterflies, plants and trees that will amaze you – the setting is simply awesome. After lunch, a two hour boat ride along the famous Kazinga channel is an opportunity to encounter Hippo, Buffalo, Kobs, Elephants, warthogs etc. This trip also enables visitors a chance to see a variety of countless bird species. Leave for Bwindi through the Ishasha Sector; this takes you through the unique western rift valley escarpment. Take on a game drive in Ishasha sector – in search of tree climbing lions before proceeding to Bwindi forest National Park. Today is dedicated to the Gorilla tracking experience which begins at 8:00 am with a briefing from the Uganda Wildlife Authority rangers. Please bring with you a rain jacket, drinking water, snacks, hiking boots and packed lunch,a hat, sun screen and wear trousers to avoid scratches from the vegetation. The guides will lead you inside the jungle to see the shy Primates in a group you have been booked to track. Do not forget to take your lunch boxes and all the necessary gear to track the rare Mountain Gorillas, perhaps one of the most exciting wildlife experiences on earth. The tracking may take between 2 and 8 hours but it’s well worth the effort. Time permitting, on return from the jungle you will go for a village Walk/ Community visit for a great opportunity to see how the local people live. This delightful moment in Bwindi gives you the opportunity to meet and interact with the indigenous people. After breakfast, you will go for the second gorilla track but in another group returning in the afternoon for relaxation and sightseeing around the lodge. Today is dedicated for a Batwa experience where the Batwa demonstrate hunting techniques, gather honey, point out medicinal plants and demonstrate how to make bamboo cups. The women of the community perform a sorrowful song which echoes and leaves guests with a moving sense of the richness of this fading culture. After early breakfast, drive to Lake Mburo National Park via Igongo cultural village, this is the place where the future meets the past. Learn more about the Ankole culture before proceeding to the park do to an en-route game drive to check in at your overnight accommodation. An afternoon boat ride surrounded by hippos is a relaxing experience to end the day. Morning game drive in the Park which is an extension of the Tanzanian Plains with big herds of Zebra, Impala, Eland, Warthogs,buffalo and other savannah species. For birders, this is one of the best places to find African Fin foot, Papyrus, Bush Shrike, etc. The evening is spent on a bush walk for wildlife viewing accompanied by an armed ranger. Meal plan: Breakfast, and Lunch End of Service.